The tools you need to train all your Cvent users on New Standard Registration. We understand that transitioning to full usage of New Standard Event Registration at your organization requires a company-wide change management process for all Cvent users. We are here to help guide you to make your transition a success. The tools in the Toolkit will walk you through the steps you can take to prepare your organization, recommend communication and training plans, outline key milestones, and provide project management templates. 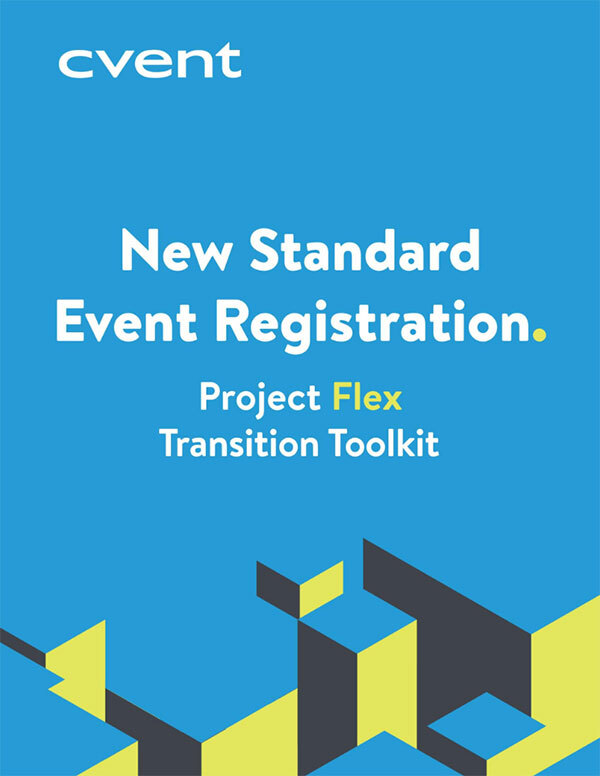 This Transition Tool can be leveraged to help your organization navigate the transition from building event websites in Standard Event Registration to New Standard Event Registration. Read about how a current Cvent client is loving the new features in Flex. Questions? Contact your Account Team to answer any additional questions you may have about New Standard Event Registration and guidance on how to best leverage the Toolkit to navigate your transition.